The Department of Communications, Climate Action and Environment has announced that its final consultation on a new support structure for all future renewable energy projects will be announced in the coming weeks. For the first time, details of direct support for solar photovoltaic (PV) projects are expected to be outlined. Ireland is currently one of the few EU countries without any direct support mechanism for solar PV projects. Given that Ireland is not a country renowned for its abundance of sunshine, one could be forgiven for questioning the viability of solar PV here. However, successful solar PV projects are already operational in Northern Ireland, and Ireland's solar resource is broadly comparable with Germany's, where 7%of the electricity demand is produced from solar energy. The Irish government has an interest in ensuring the prompt deployment of solar PV projects so as to bring it closer to meeting its binding commitment to provide 16% of electricity through renewables by 2020. If the target is not achieved, the government could be levied with fines of between €100 million and €150 million for every percentage point it falls short. Planning and grid connection processing constraints aside, it is estimated that 500MW of solar could be installed by 2020, representing 10% of Ireland's total renewable energy capacity. It is hoped that the introduction of a support structure for solar energy in the near future will enable the development of a large number of commercial-scale solar projects (greater than 5MW), many of which have already applied for planning and grid connections. It should also encourage further growth of micro/rooftop solar, which already has a presence in Ireland. Despite the lack of any support structure to date, over 500 applications have been submitted to ESB Networks for the connection of solar projects in Ireland, with a total export capacity of over 6GW. 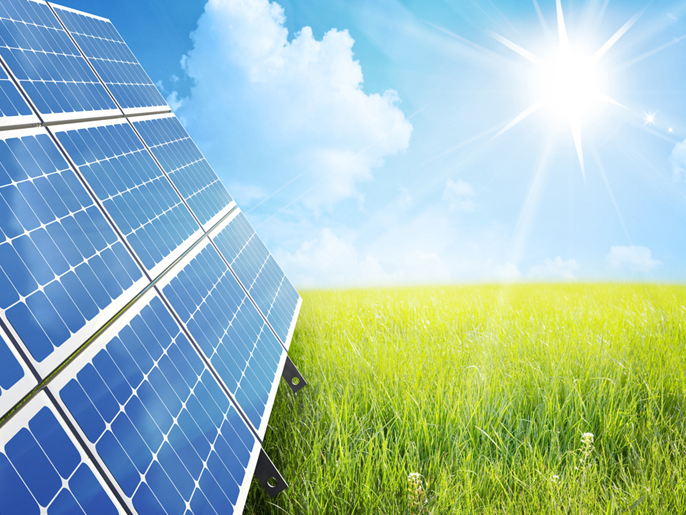 A significant number of the applications submitted are for commercial-scale solar projects. Many developers have already obtained acreage and submitted grid connection and planning applications for commercial-scale solar projects. But many believe that such projects will only be feasible when a support structure is in place. To a lesser degree, developers also point to the evolving nature of planning guidance for commercial-scale solar projects as another factor which is restraining development. It is therefore anticipated that the introduction of a support structure, coupled with the ongoing improvement of planning guidance, will promote the development of commercial-scale solar in Ireland. It is likely that any support structure for commercial-scale solar projects will follow the existing format of Ireland’s Renewable Energy Feed-In Tariff (REFIT) schemes. Micro/rooftop solar installation has also been extremely popular in Ireland in recent years. This is primarily due to the continuing reduction in the manufacturing costs of solar PV which has fallen by between 5-10% every year for the last number of years. Whilst numerous Irish businesses have installed rooftop solar PV at their manufacturing facilities, it has been reported that the size of the systems installed has been scaled back due an inability to sell excess electricity into the grid. Initial government consultations have included provision for micro/rooftop solar within the proposed support structure. Moreover, a recent report by Joseph Curtin of the National Advisory Council on Climate Change strongly recommended the inclusion of micro/rooftop commercial solar within the new support system, at the very least for an “initial period of support". The Department’s final consultation is expected to be published in the coming weeks and further developments on the proposed support structure for solar PV in Ireland are anticipated in the coming months. We will be providing regular updates. LK Shields is a member of the Irish Solar Energy Association. David Brangam is an Associate Solicitor in the Corporate and Commercial team and Jamie Ritchie is an Associate Solicitor in the Energy and Natural Resources team.